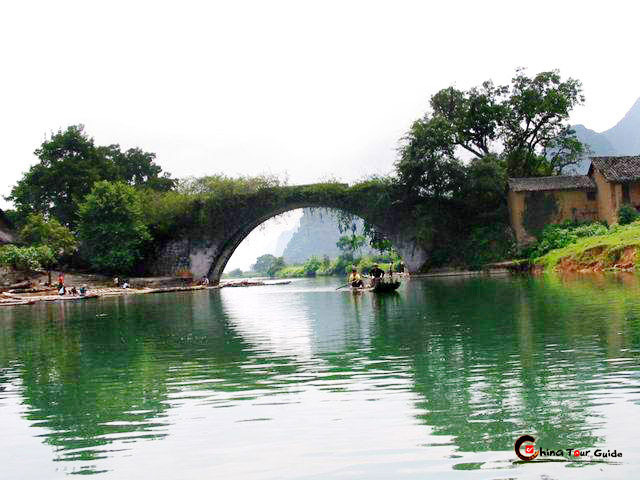 Longsheng is located in the mountainous region in the northeastern part of Guilin. It's known for the natural beauty and the colorful ethnic cultures and customs. 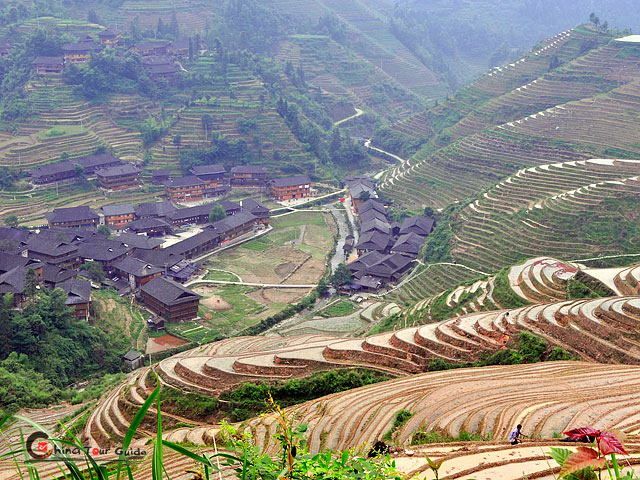 The Longji Terraces are located in Longsheng, 22.5 km (14 miles) from the town of Longsheng, and 108 km (67 miles) from the city of Guilin. It was formed gradually starting during the Yuan Dynasty and ending during the Mid-period of Qing Dynasty. It is called "The champion of the terrace world". 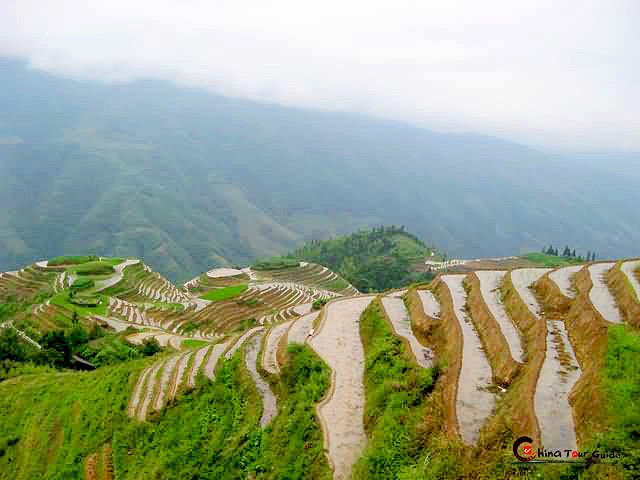 The terraced fields are built along the slope winding from the riverside up to the mountain top. The highest tier is 880m (2900 ft.) above the river while the lowest is 380m (1250 ft.) in elevation. This ingenious construction makes best use of the scarce arable land and water resources in the mountainous area. The attractions change due to the different seasons. 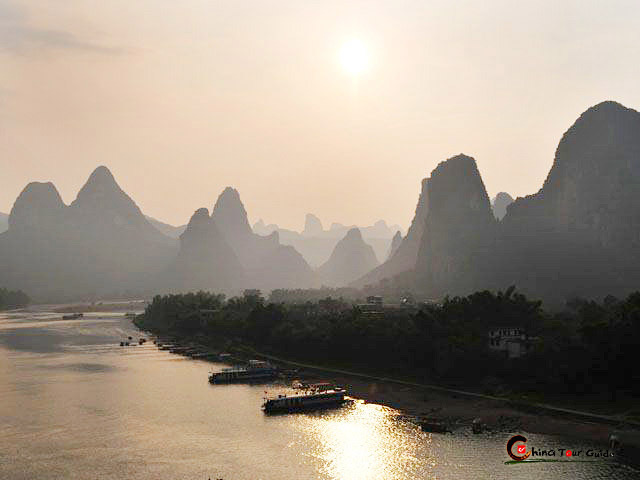 The coiling line divides the mountain into layers of water glittering in the sun in spring; layers of green rice shoots in summer; layers of golden rice in fall; and layers of silvery frost in winter. In winter the color of the terraces may change three times a day due to the light reflecting on the frost or snow. When the grain is in the ear and during Middle-Autumn are the best times for appreciating the charming natural scenes of Longji Terraces. 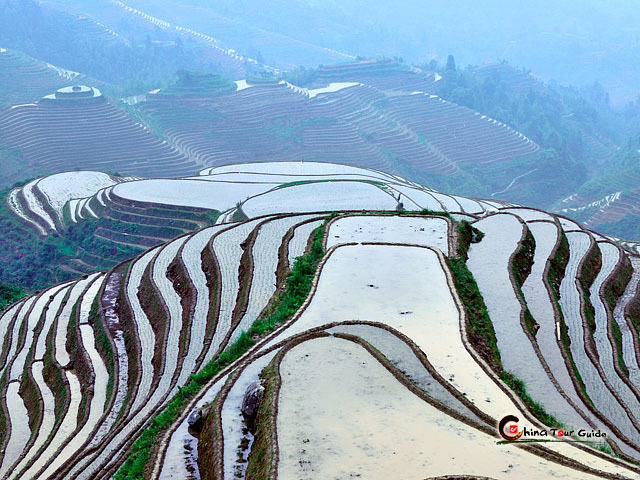 Most of the residents living in Longji village are Zhuang minority. Rural buildings set on hills and next to rivers as well as bluish flying ribbons worn by the local people decorate the area. 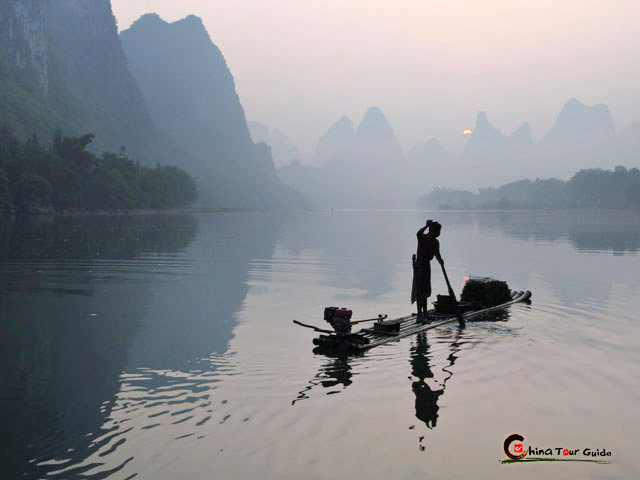 Please click " " to add the attraction in you favorite list, let us plan a private Guilin Tour for you. please write down your requirement, we will plan and reply to you as soon as possible.